ChiIL Mama : ChiIL Mama Presents Beat Kitchen's Concerts for Kids! Fall Fest Kick Off Extravaganza THIS Sunday. ChiIL Mama Presents Beat Kitchen's Concerts for Kids! Fall Fest Kick Off Extravaganza THIS Sunday. 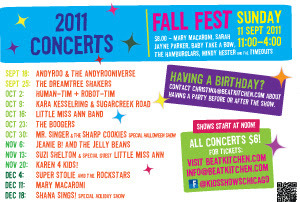 ChiIL Mama's super stoked to be sponsoring this season's Beat Kitchen's Concerts for Kids along with ChicagoKids.com. You can meet ChiIL Mama, Du-Jay and Sagezilla in person Sunday, at our big concert kick off. Stop by, say hey and chiIL out. We're ready to start your little rocker off toward those 15 minutes of fame. We'll have dress up bins full of costumes, and rock tees to borrow for photos at our FREE Rock Star Photo Booth, on the 2nd floor of Beat Kitchen. We'll snap 4 photo booth style shots of your little rock star or the whole family and post them in our Future Rock Star Gallery, here on the blog. You'll also be able to download and print yours at home. Some of our favorite kindie bands are playing. Check out ChiIL Mama's interview with Mindy Hester and ChiIL Mama's YouTube Channel and Vimeo Channel featuring numerous kindie favs, including live concert footage and interviews from Beat Kitchen. There's plenty more to come. We also highly recommend checkin' out The Hamburglars. We were on Chic-A-Go-Go with them last Halloween. Check out their show video HERE. You can see Sagezilla (punk anti-cheerleader) and Sir. Du-Jay (the knight) rockin' out on the right. And did we mention Beat Kitchen's food ROCKS just about as much as their music. I've been mmmmissing their excellent Bloody Marys over the summer. Great music, face painting, ChiIL Mama's rock n' roll photo booth and more! 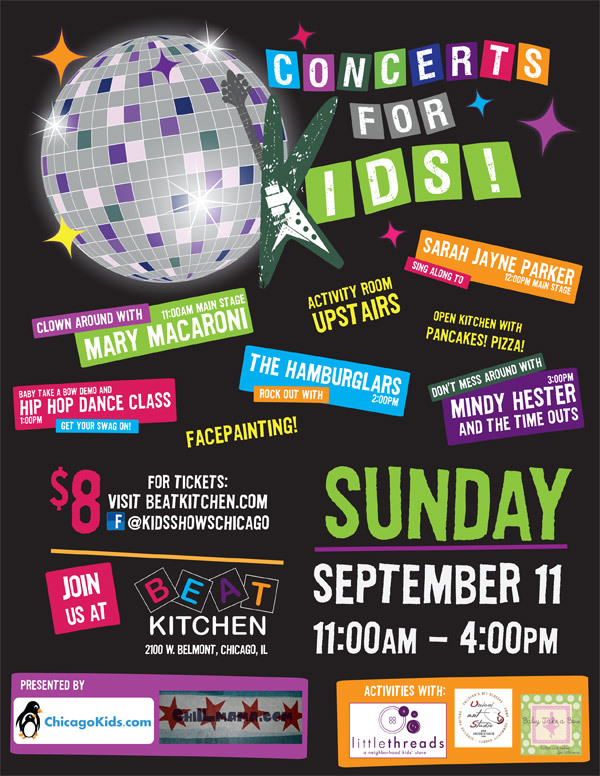 Beat Kitchen's Concerts for Kids! is kicking off the fall concert series with a huge party Sunday, September 11th from 11:00 am to 4 pm. Join us for facepainting, crafts from Unicoi Art Studio, penguin tattoos and crafts from ChicagoKids.com, ChiIL Mama's Rock Star Photo Booth, feathers extensions by Little Threads ($12 for 1/ $30 for 3), and, of course, awesome children's music. Plus, Beat Kitchen's kitchen will be open serving something for everyone from burgers and gourmet pizzas to pancakes and french toast. 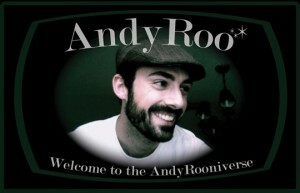 Andrew Karnavas, submitted for GRAMMY consideration for his debut solo LP, Film Noir, and for his Runaway Sun LP The Bridge, has a new children’s project “AndyRoo and the AndyRooniverse”. It's fun, easy to dance to and great for kids and their parents. Check him out on the RooTube and come see him in the flesh. Plus enjoy a special craft time after the show with Easel Art Studio presented by ChicagoKids.com. For band interviews, live show videos and stills, upcoming events, and great give aways like free CDs/ DVDs, books, tickets to adult & kids' theatre and concerts, check out http://chiilmama.com/ and our live show archives http://chiilliveshows.com/ .